Bill Khamis, the owner of Thursday Pool Manufacturing, has spent a lifetime in the fiberglass composite industry. He does not believe in this approach. Shortcuts drastically increase the likely hood of various types of product failure. As a result Thursday Pools offers the strongest warranty protection in the industry. In fact they are the only one piece fiberglass swimming pool manufacturer whose warranty remains in effect if the pool water is even partially lowered in the pool. 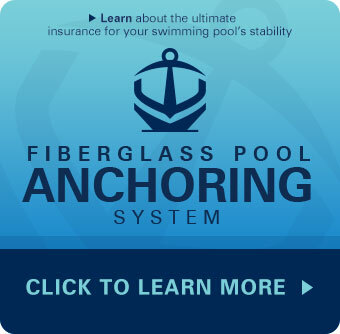 This is due to Thursday's patented revolutionary system called The Fiberglass Pool Anchoring System. Concern over the potential for bulging walls or floor is why all manufacturers, except Thursday, require that their pools remain full of water at all times. To learn much more about how the Thursday product is different, please view this short video or visit our store.